On this day in 1954, marked the first flight of the C-130 Hercules! 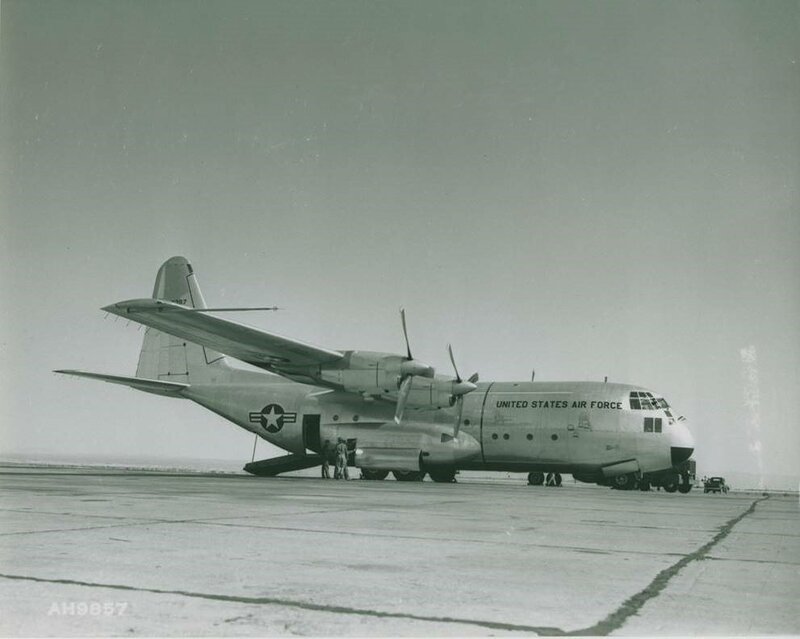 On this day, 23 August 1954, Lockheed pilots Stanley Beltz and Roy Wimmer flew the Hercules YC-130 transport on its first flight. The Lockheed design team was led by Willis Hawkins, starting with a 130-page proposal for the Lockheed L-206.Hall Hibbard, Lockheed vice president and chief engineer, saw the proposal and directed it to Kelly Johnson, who did not care for the low-speed, unarmed aircraft, and remarked, "If you sign that letter, you will destroy the Lockheed Company." Both Hibbard and Johnson signed the proposal and the company won the contract for the now-designated Model 82 on 2 July 1951. The initial production model, the C-130A, was powered by Allison T56-A-9 turboprops with three-blade propellers and originally equipped with the blunt nose of the prototypes. Deliveries began in December 1956, continuing until the introduction of the C-130B model in 1959. Some A-models were equipped with skis and re-designated C-130D. As the C-130A became operational with Tactical Air Command (TAC), the C-130's lack of range became apparent and additional fuel capacity was added with wing pylon-mounted tanks outboard of the engines; this added 6,000 lb of fuel capacity for a total capacity of 40,000 lb.